Some sites associated with C.P.O. Edgar Evans. Episode: 37. Site Numbers: 139, 209, 210, 221, 223. 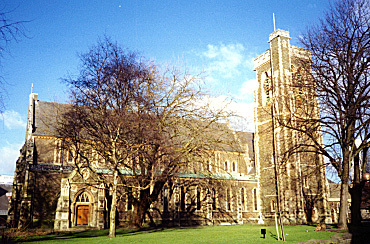 Date Posted: 12 February 1997. Update 13 March 2000. Location: Various. Type: Various. Edgar Evans--Chief Petty Officer, RN--was a member of Scott's Discovery expedition and along with Lashly and Scott sledged close to 700 miles across Victoria Land. Held in high regard by Scott for "his resourcefulness, his strength and fund of anecdotes," 'Taff' Evans came back for more, jumping at the chance to volunteer for the Terra Nova expedition. He was chosen for the Polar Party and, ironically perhaps, was the first of the five to succumb on the return from the Pole. He died on the Beardmore Glacier. 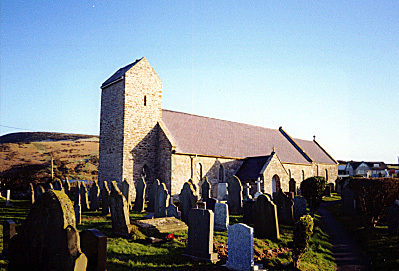 Evans was baptised (April 1876) and married (December 13, 1904)--as were his parents--in St Mary the Virgin, Rhosili, on the Gower Peninsula of Wales, west of Swansea (209). (He was born nearby at Fernhill Top Cottage, Middleton.) 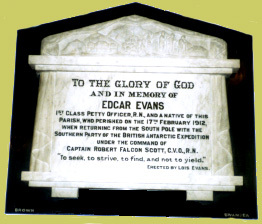 There is a plaque in the church, dedicated on January 27, 1914, that reads: "To the Glory of God and in memory of Edgar Evans 1st Class Petty Officer, R.N., and a native of this Parish, who perished on the 17th February 1912, when returning from the South Pole with the Southern Party of the British Antarctic Expedition under the command of Captain Robert Falcon Scott, C.V.O., R.N. 'To seek, to strive, to find, and not to yield.' Erected by Lois Evans." Evans is commemorated at the Royal Naval Gunnery School at Whale Island in Portsmouth where an accommodation block was named for him at a ceremony on December 18, 1964. The plaque in the foyer reads: "This building is named in proud and honoured memory of Petty Officer Edgar Evans who gave his life returning from the South Pole 17th February 1912." 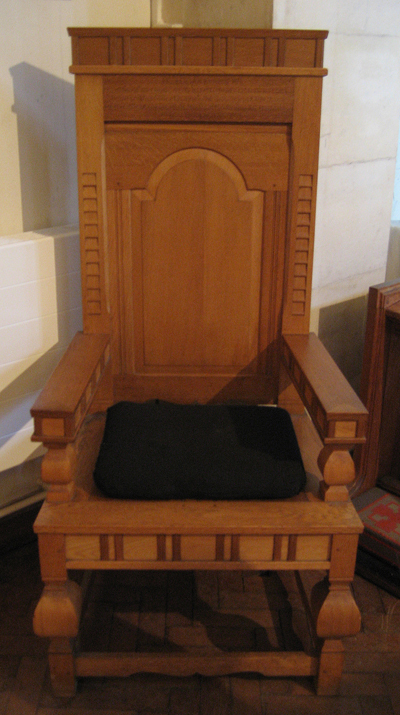 (139). Evans' skis from the expedition are to be found here as well (see Update below). There are a few more Evans sites around Wales and elsewhere in the UK, mostly houses where he or his family lived, which I'll leave to another time. (A major source for this episode is G. C. Gregor's informative booklet: Swansea's Antarctic Explorer Edgar Evans 1876-1912 (City of Swansea, 1995). Also, Antarctica; Great Stories from the Frozen Continent, (Sydney: Reader's Digest, c1988). Update 13 March 2000: In June of 1999 I arranged a visit to Whale Island (also known as "H.M.S. Excellent," a naval training facility) where I was led around by Warrant Officer Chris Bailey. The Edgar Evans Building (139) is a large structure that includes accommodation and other uses and, happily, the Senior Ratings Mess where we had lunch and a pint. At the entrance of the building is a bronze plaque that reads: "This building is named in proud and honoured memory of Petty Officer Edgar Evans who gave his life returning from the South Pole 17th February 1912." At a second entrance is a stone plaque that reads: "Edgar Evans Building. This stone was laid on 21st Dec. 1962 by Vice-Admiral M. Le Fanu C.B. D.S.C. Controller of the Navy." Inside, in the lobby area, is a display of Evans-related items, his crossed skis being the centerpoint. An engraved plaque below reads: "These are the original skis used by Petty Officer Edgar Evans who was a member of the ill-fated expedition to the South Pole led by Captain Robert Falcon Scott Royal Navy in January 1912." The fact that his skis are here raises an interesting question: How did they get from where Evans died on the return from the Pole to Portsmouth? Presumably the Polar Party left them with Evans and these are a second pair that remained at Cape Evans.